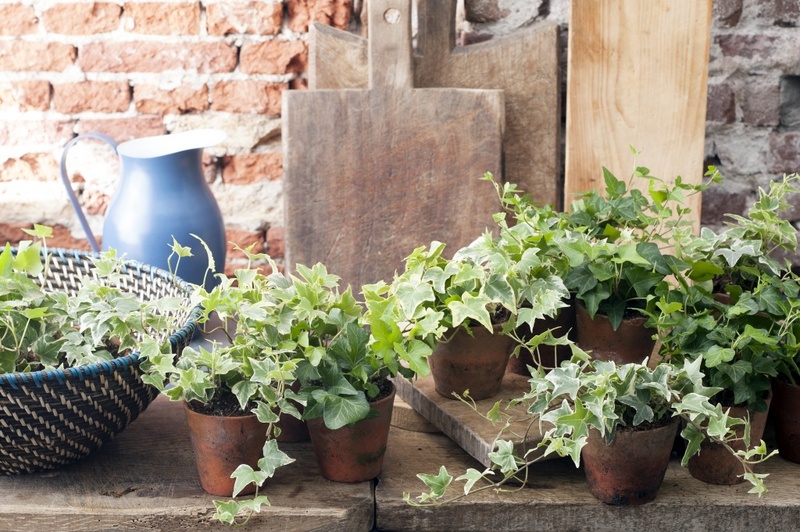 The Ivy, also known as Hedera, is Houseplant of the month of April. A good time to take a moment to consider this European, which is able to grow and climb with little water and shows picturesque leaves. 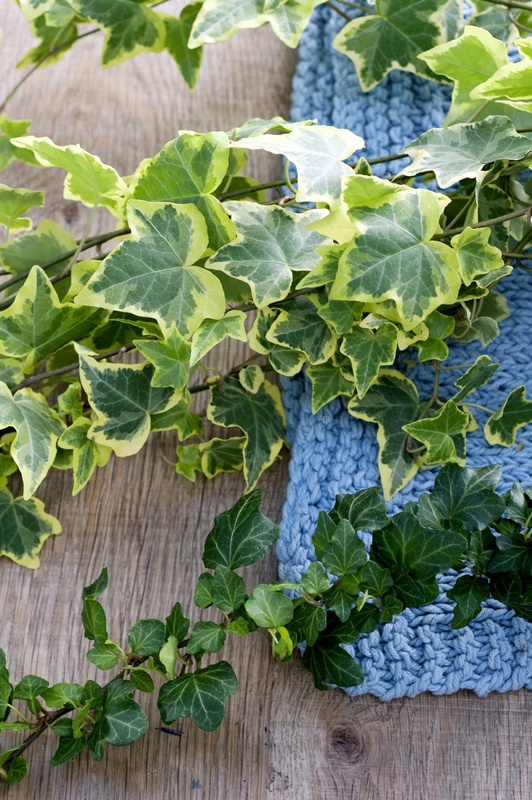 The official name of the Ivy, Hedera, comes from an old Latin plant name and means ‘holding on or adhering’ and indeed: outdoors the plant adheres itself to walls and fences. 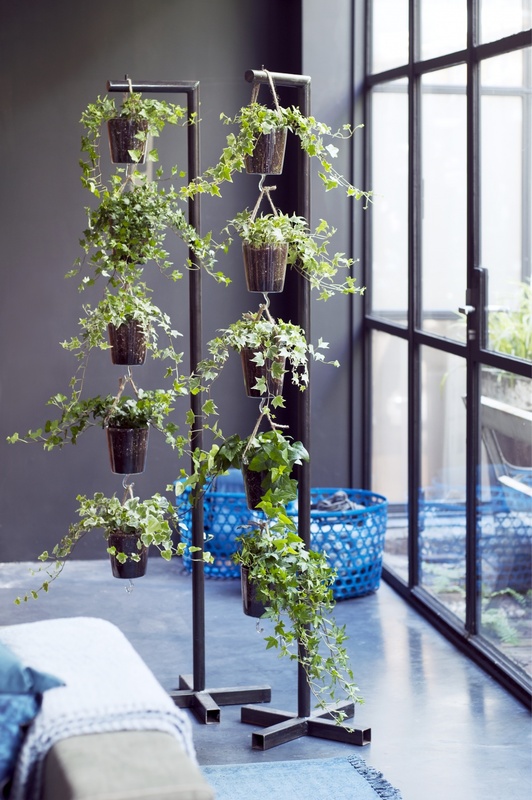 Indoors the Ivy climbs, hangs and swings and proudly shows its leaves. These are green with white, silver or yellow features and sometimes have a marbled effect. Young Ivies grow quickly and have small leaves, which later on become larger and more twisted. 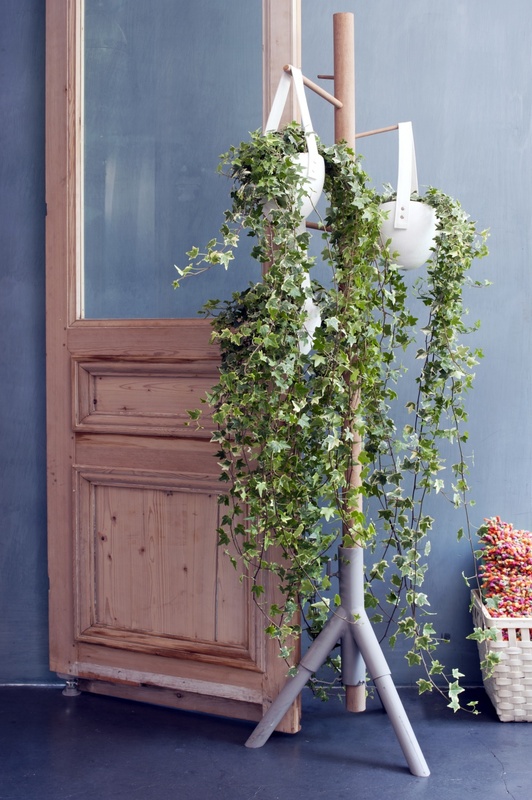 As opposed to most houseplants the Ivy isn’t a tropical exotica but grows in Europe. The plant is therefore used to a cooler climate, which makes it easier to look after. You will keep the Ivy happy and healthy with these tips: the plant can cope with relatively dry air, around 12-20 degrees Celsius. Don’t place the Ivy in full sun and watering once a week is plenty. This way, the plant will radiate some happiness onto you. 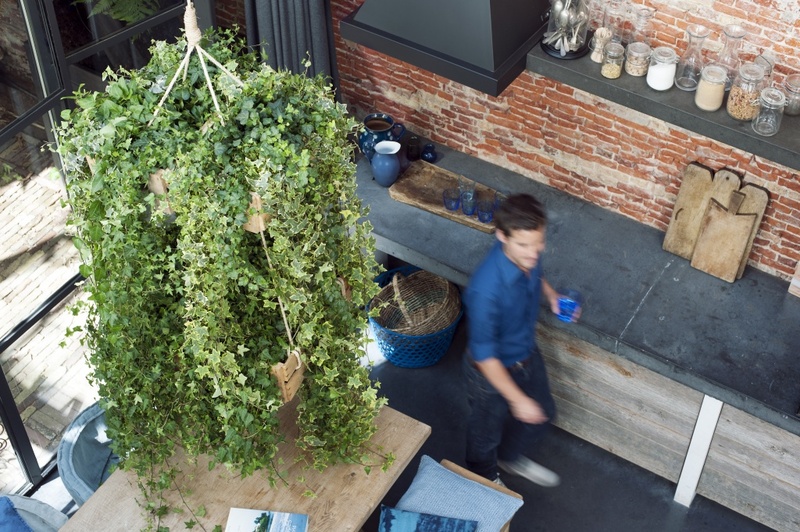 Research by NASA has demonstrated that the Ivy is a powerful air purifier, handy for home and office. 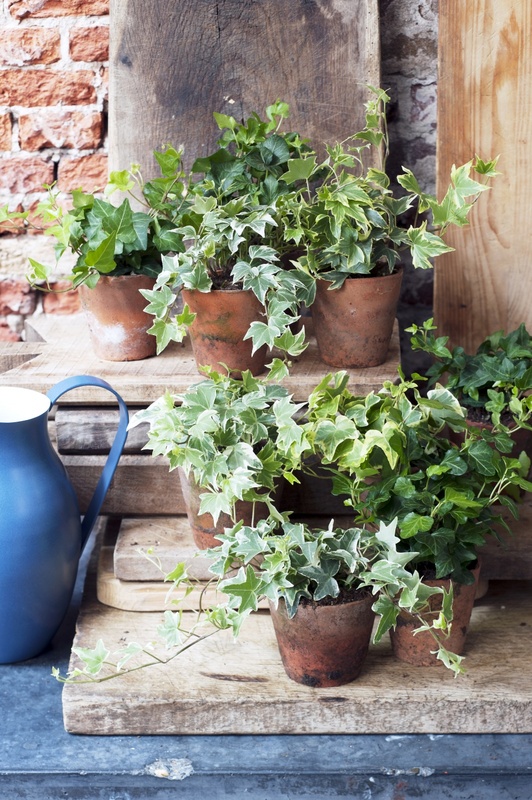 The Ivy is in the top 10 of easiest houseplants. 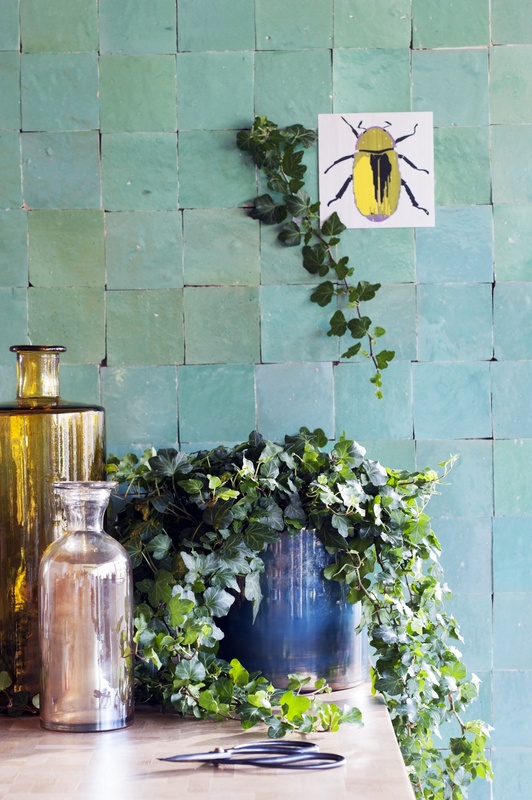 You can trail Ivy easily along any object, so be creative and make a lovely plant wall full of Hederas. 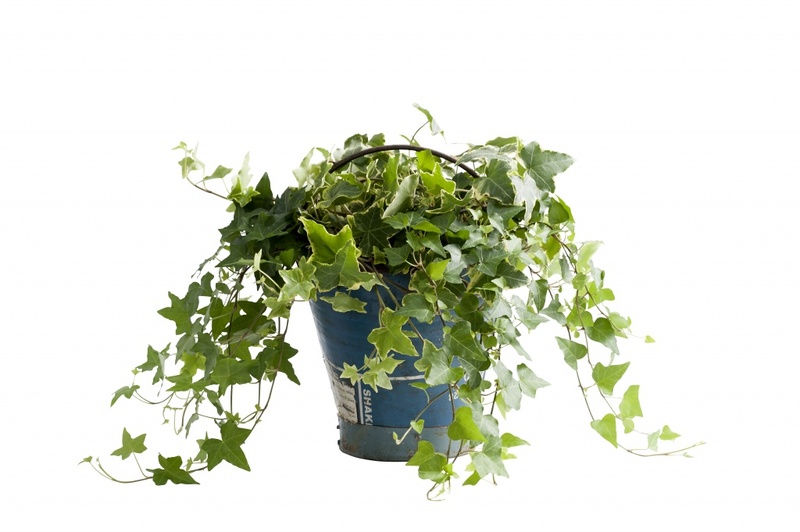 If the Ivy can’t grow anymore outdoors, it is fully mature and will develop branches without aerial roots. It will also develop diamond shaped leaves, flowers and berries. Worldwide there are more than 4,000 varieties of Ivy. In Greek mythology, Ivy is the plant of Dionysos, the god of wine and plant growth. An Ivy wreath is the symbol of victory and human power. That is why Olympic Games winners receive them. 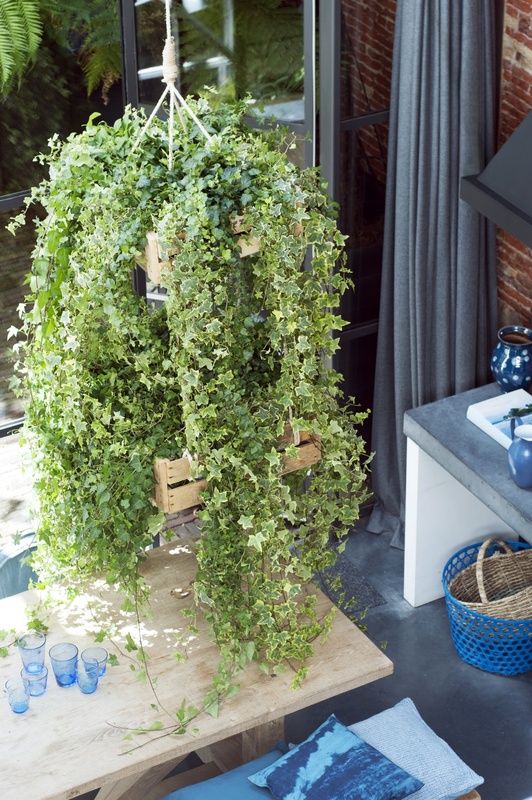 The Ivy, takes centre stage this month as Houseplant for April 2015. ‘Houseplant of the month’ is an initiative of the Flower Council of Holland. Each month the Flower Council, in collaboration with representatives from the horticultural sector, chooses a plant which is well liked by the consumer, or isn’t well known but has the potential to do well in the living room. All the accompanying image material can be used without copyright.